Ole and Nick will represent SCM at the 10th World Congress of Chemical Engineering, held in Barcelona from 1-5 October. At the SCM booth at the Expoquimia (2-6 October) they will happily demo ReaxFF for studying large, complex, reactive systems as well as COSMO-RS and COSMO-SAC for the prediction of thermodynamic properties such as VLE, LLE and boiling points, based on DFT data. Chemical engineers with an interest in modeling catalysis and spectroscopic properties will enjoy the atomistic and periodic DFT codes ADF and BAND. 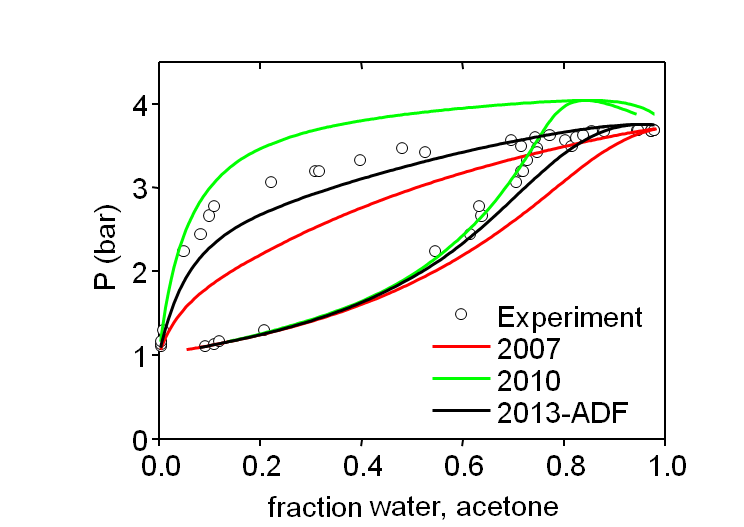 All computational chemistry tools can be conveniently run from a single GUI driving the whole ADF Modeling Suite. Ole will also give an update of our ongoing efforts to make computational chemistry work for you as a researcher at the satellite event, New trends in Computational Chemistry for Industry Applications. You will also find Nick and Ole in the technical sessions to keep an ear to the ground about ongoing developments and feature modeling needs. Ongoing developments in COSMO-SAC in the COSMO-RS module: improved VLE predictions with dispersive interactions.